One of the most important purchases of parents is choosing the right pram or travel system for your child. There are various travel systems to choose from: prams, pushchairs and car seats and they can cost over hundreds of dollars but will be used for the many years to come. Investing in a good quality pram is important especially if you plan to have more children in the future. 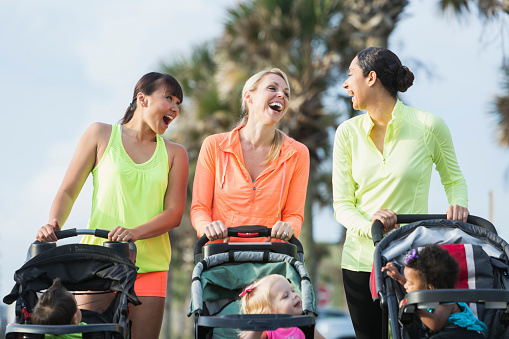 Before choosing a travel system, you need to consider your lifestyle first. Do you drive a lot, do a lot of walking over rough ground or will you be using a lot of public transportation most of the time? Knowing what your regular routine is will be important in choosing the right product to buy. They are large or small bodied and large wheeled chassis with full spring suspension. It is suitable from birth to a couple of years. The carry top can be detached from the chassis and it also has carry handles. This type of transport system is best for short distances since it can be quite heavy. They are also not the best to lug around in a car or public transport. Look up Bugaboo for great sleections. This is a type of pram that has a lie flat pushchair and separate chassis. The pushchair can be turned to face you or away from you and can also be used from birth to a couple of years. You can also choose a chassis such as fixed wheel with suspension for walking or one equipped for swiveling so that you can easily maneuver through a crowd. This type of pram has a removable and washable liner. Additionally, it can be used with a mattress to serve as a carrycot. The most ideal use for public transport and private vehicle is a lightweight pushchair or stroller. There are models suited from birth and they normally have a lie flat facility equipped with a 5 point harness, lockable wheels and a shopping basket. Take Britax for example. While each of them may have different features, you can rest assured that all of them are equipped to keep your child safe and comfortable. It is just a matter of choosing the best product for your usual lifestyle and means of travel. Whatever you end up choosing, make sure that you settle on a durable and functional design.